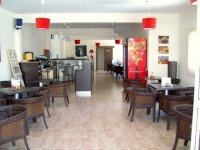 Cyprus Beach Apartment for sale Larnaca. Walk straight onto the beach and into meditteranean sea. Local restaurants also within walking distance. Located in Mackenzie Beach Larnaca a Blue Flag Cyprus Beach. A very popular area for property buyers who love the stunning beach location. 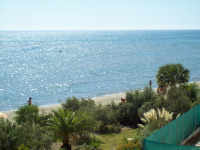 If your a beach lover, this is a fantastic opportunity to own Prime Location Propery on the beach at Mackenzie, Larnaca. 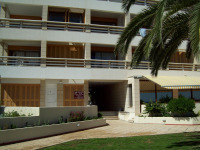 You can literaly walk from the luxurious apartment block through the well maintained garden onto the sandy beach and into the meditteranean sea. Soak up the uninterupted views of the beautiful meditterranean from the living room and the bedroom. 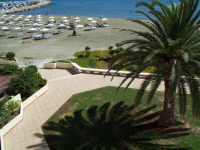 The Beautiful pictureque garden is well maintained with panoramic views. This is definetly a beach lovers paradise. The New Cruise Port and Largest Marina in the mediterranean is being constructed.a few kilomenters away. Many cruises will be available on completion. This is a great investment opportunity for either a business person with a Premium rental income, capital growth, or for an individual purchaser wishing to have prime location, beach front accommodation. 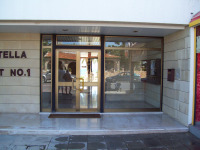 Did you see this Investment Property in Cyprus?